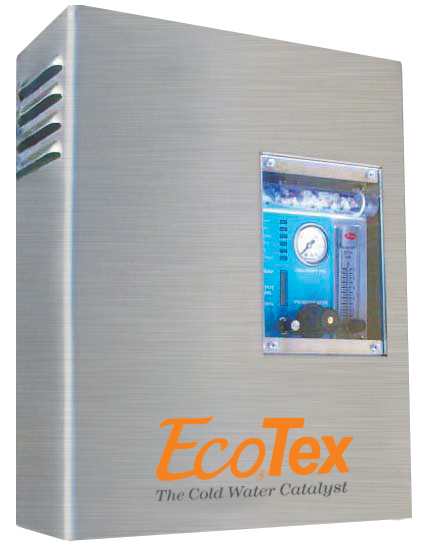 The ECO3 is a corona discharge, wall-mounted ozone generator. Designed with a user friendly diagnostic/control panel, it meets the need of any commercial or institutional laundry facility. Its compact size reduces equipment space, simplifies installation and saves on maintenance costs. The ECO3 supports one 200 to 400 lb (90 to 180 kg) commercial washer. Dimensions: 19.50″ H x 15.75″ W x 6.50″ D; 38 lbs.